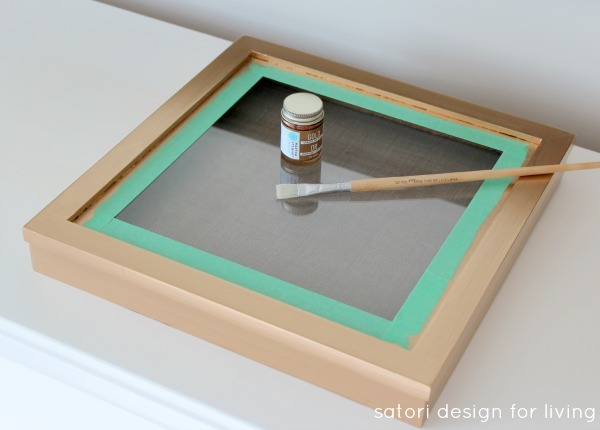 Learn how to create your own easy and inexpensive vintage key art with gold gilded frame. This vintage key art project is super easy and will definitely add a bit of sparkle to your space. 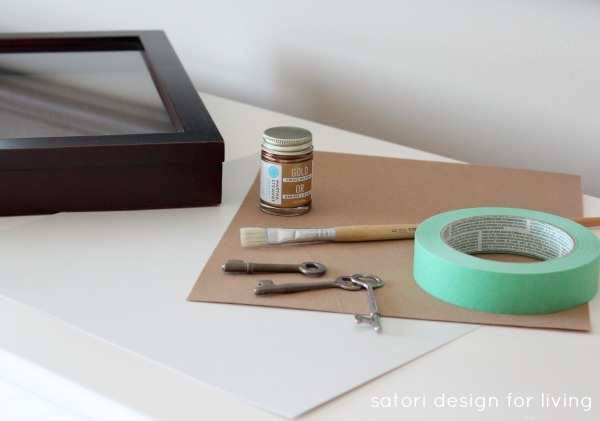 Lightly sand your shadow box frame and tape off glass portion with painter’s tape. Apply a coat of gold liquid gilding to entire box (inside and out) except for the back (which will be covered with paper). Once it’s dry (overnight is best), cut the paper the same size as the back and hold in place with glue or magnets (depending on if your shadow box backing is magnetized or not). 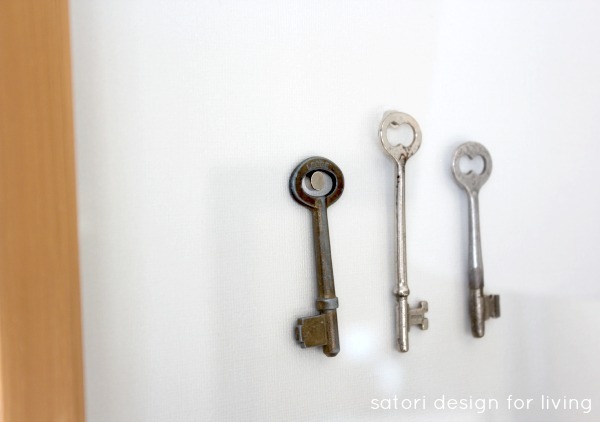 Attach the vintage keys with magnets or glue. That’s it! Now for more gold projects! Vintage Key Art by Satori Design for Living- That’s me! The giveaway will run from March 10th, 2014 to 11:59 pm on March 17th. Open world-wide (void where prohibited). Great idea! I have a bunch of vintage keys I picked up at a flea market that I haven’t found a use for yet. LOVE LOVE LOVE the Key Art!! Pinned!! This looks great Shauna! It’s a simple & gorgeous piece of art! Love it! Love this! Simple yet elegant! Easy to do, too – my kind of project. Pinned for later! Love it Shauna! Thx for the giveaway! That is so cute. A great idea! Very cool. Now I need to go in search of some fabulous keys. I love vintage keys – this is such a simple, but elegant piece, Shauna! Thank you for joining the hop, lady! 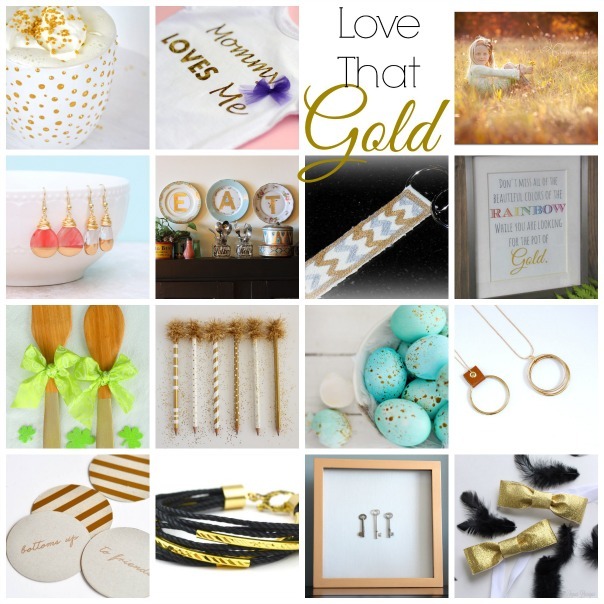 Love all the gold projects! And thanks for the great giveaway, I’m crossing my fingers! What a fun post and giveaway! I will be entering for all of them! This looks like a fun and easy project, that turns out pretty darn good! I love old keys and this is a great way to display them. Beautiful…isn’t is amazing what gold leaving can do? It really add class to your projects! Love the contrast of the gold against the keys. This looks like a project for my front entrance! Thanks Heather. Glad to see you stopped by. Good luck! You have truly inspired me to spring clean and add some pizazz! Thank You!! I really like your project, Shauna! I love its simplicity, and of course, the vintage flair. Great job – I still have yet to use liquid gold, but am dying to find the right project to give it a go! 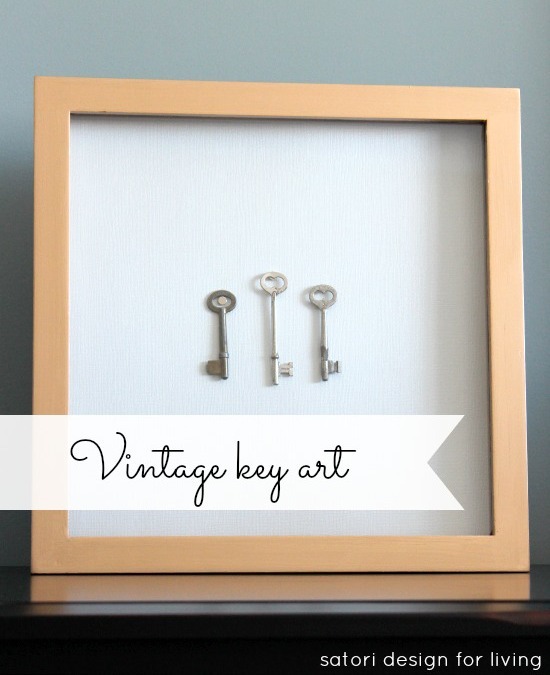 Your vintage keys art looks great Shauna! We have some old keys like that at our house but we use them in the doors. The kids really find them interesting and they usually go missing… I should frame them (without the glass! ), then they would stay put – thanks for the idea and for the awesome giveaway! I love shadow box art. I have so many RIBBA frames at home that add that something extra to a gallery wall. Great project, love the keys! what a simple yet striking piece of art – totally doable! You had me at gold. 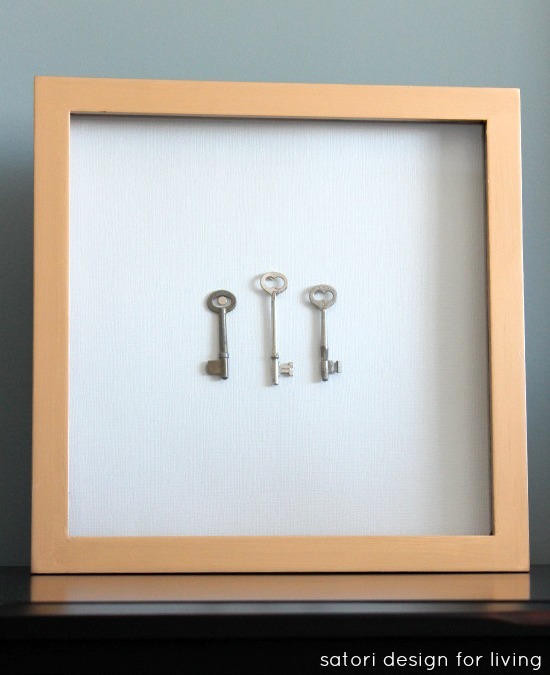 I love the framed keys! I adore vintage keys! Lovely idea – pinned and tweeted!